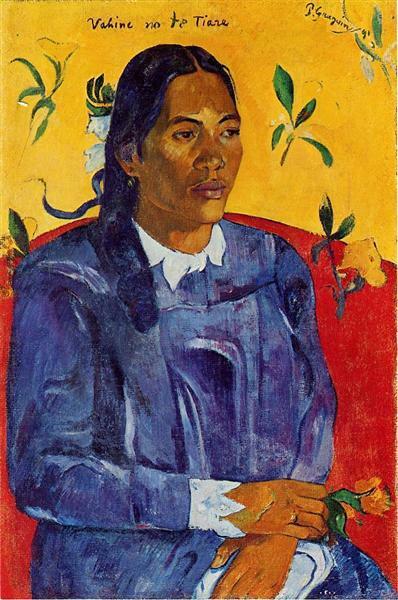 When Gauguin returned to France in 1893, he spent most of his time in Paris promoting his work and writing and illustrating Noa Noa, a fictionalized account of his Tahitian experience. 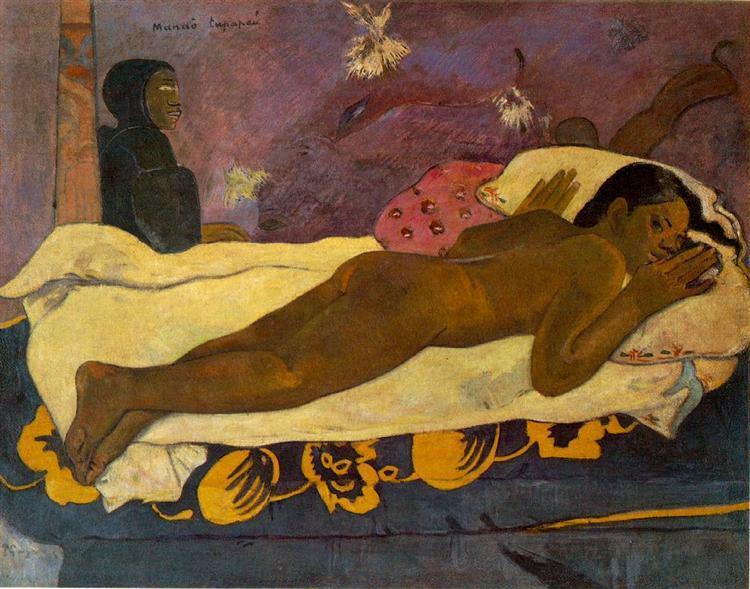 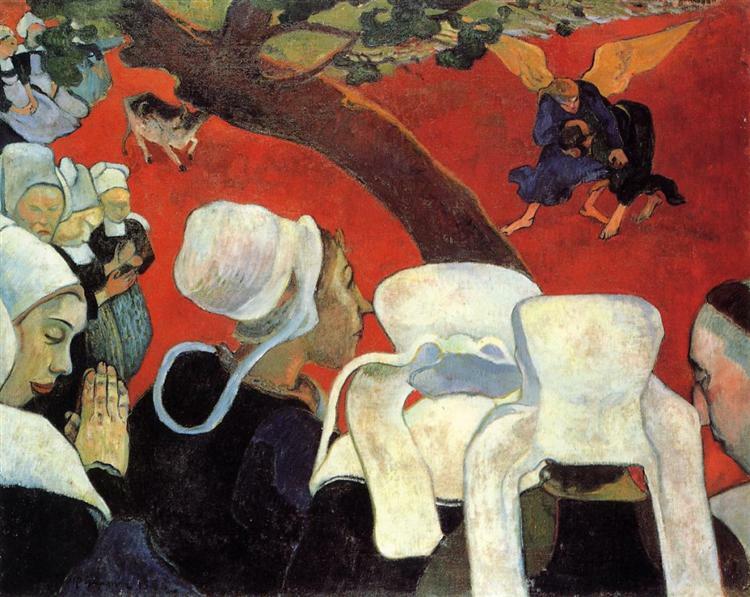 Day of the Gods (Mahana No Atua), one of the very few paintings Gauguin completed during this period, is closely related to his literary project. 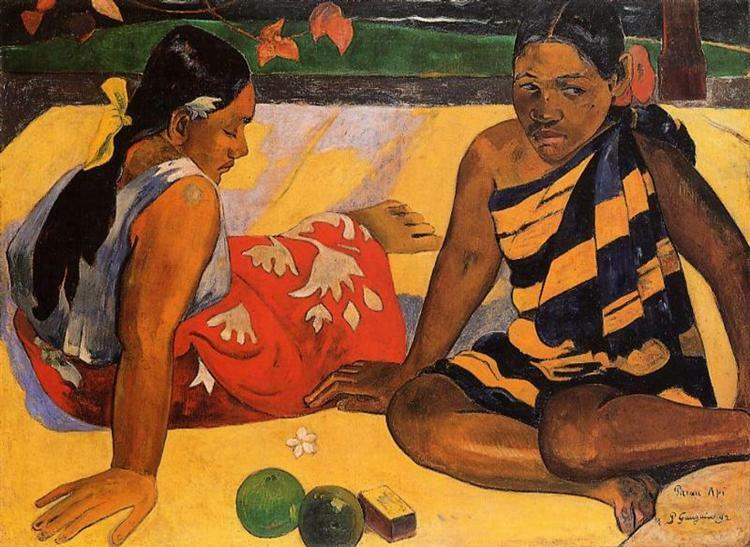 Set in a Tahitian landscape by the sea, the composition is divided into three horizontal bands. 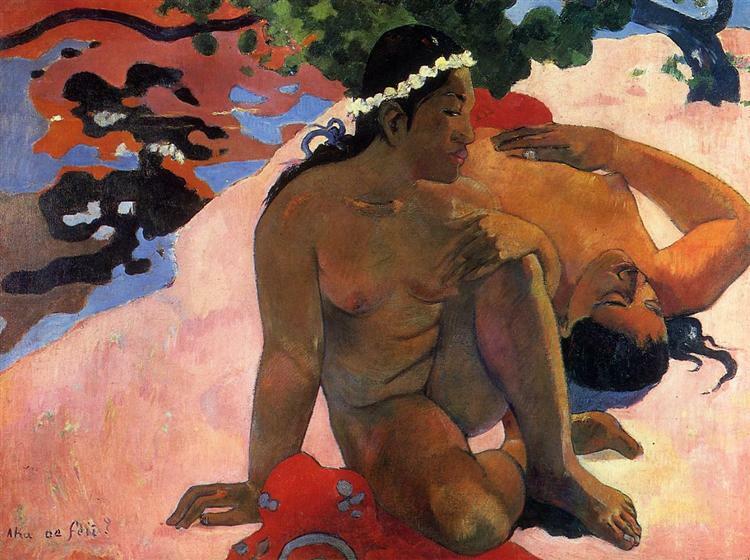 At the top, islanders perform a ritual near a towering sculpture. 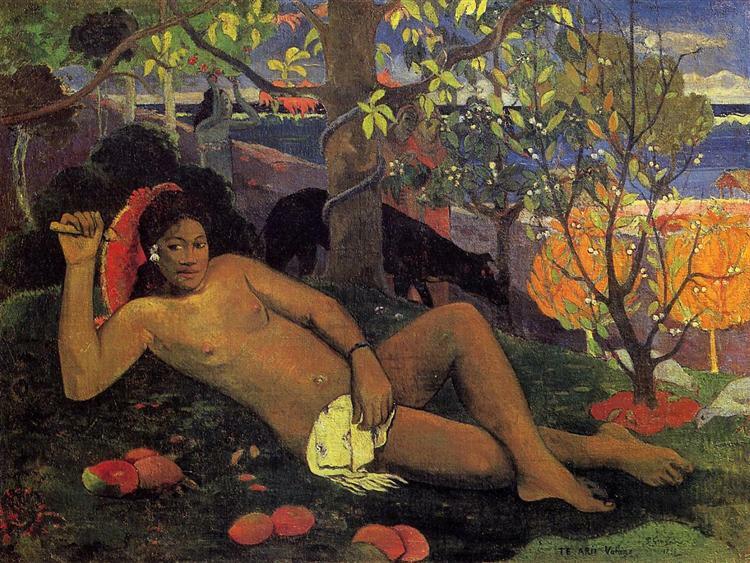 Like many figures in Gauguin’s Tahitian images, the monumental sculpture was derived not from local religion but from photographs of carved reliefs adorning the Buddhist temple complex at Borobudur (Java). 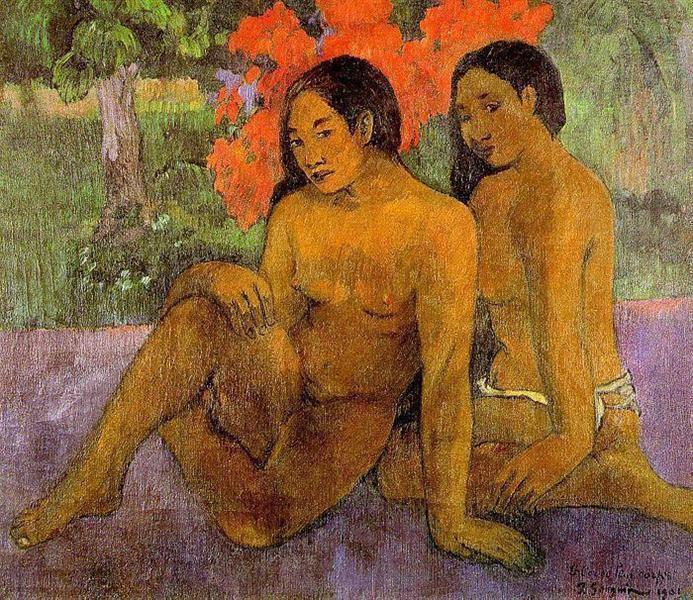 In the middle band, three symmetrically arranged figures are placed against a field of pink earth in poses that may signify birth, life, and death. 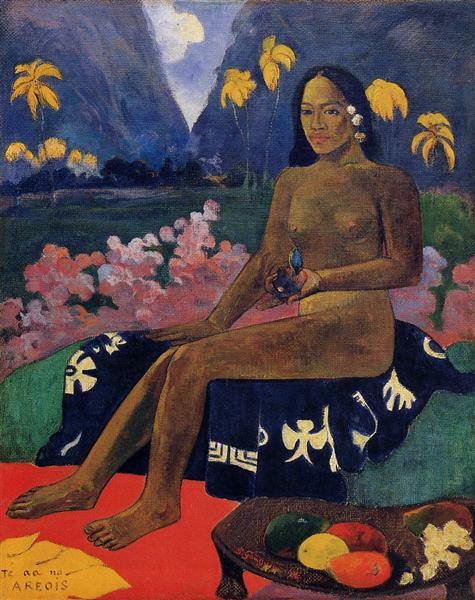 The woman in the center, formally linked to the sculpture at the top, is similar in appearance to other depictions of Tahitian females who Gauguin used to suggest the Christian figure of Eve in paradise. 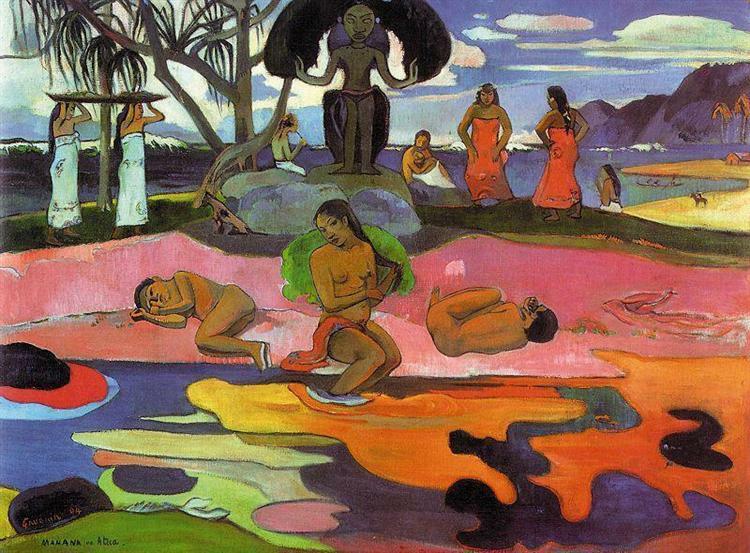 The lower portion of the composition evokes brilliant, contrasting hues reflected in the water. 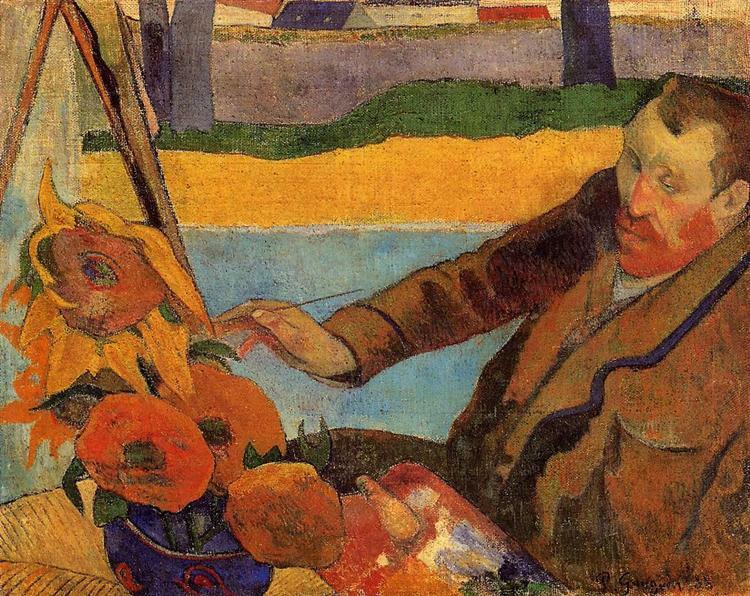 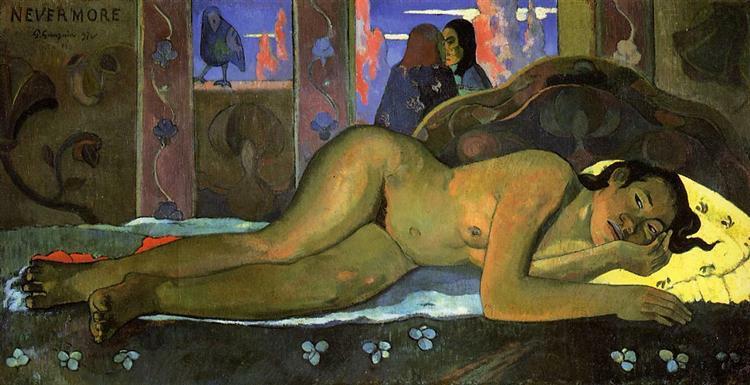 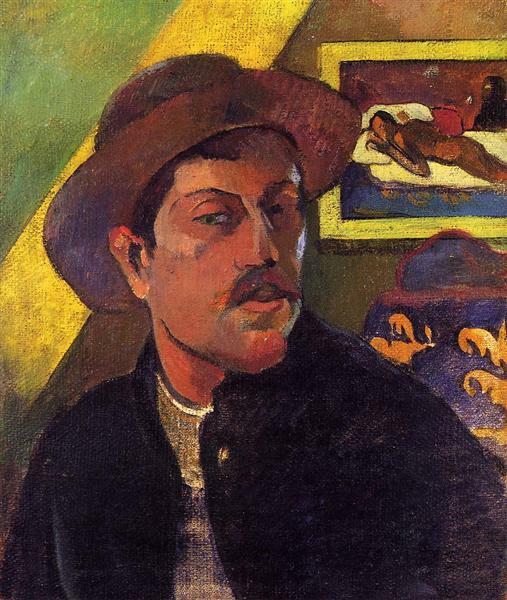 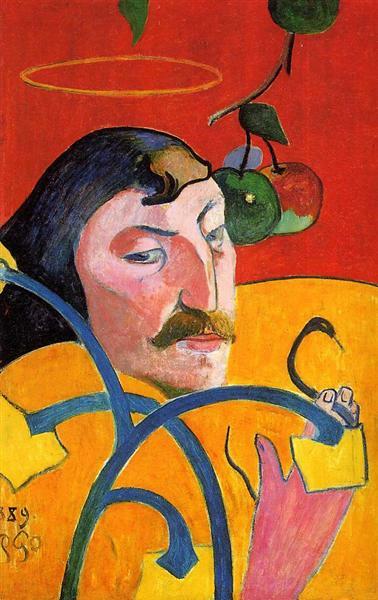 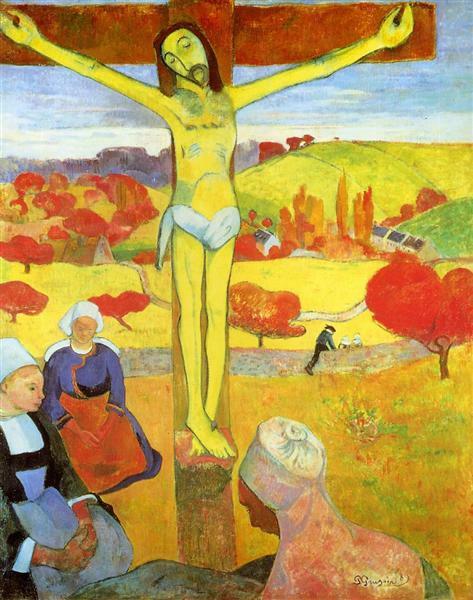 Gauguin’s Post-Impressionist style, defined by a decreasing tendency to depict real objects and the expressive use of flat, curving shapes of vibrant color, influenced many abstract painters of the early 20th century.